During his illustrious career, Kobe Bryant was known for his ferocity and second-to-none competitive streak. Over the years we’ve heard countless stories about Kobe challenging his teammates and inspiring opponents to work on their craft and be better. Since his retirement in 2016, Kobe has been finding new avenues to channel his creativity and competitive nature. During this time, Kobe has already won an Oscar and published a book series, The Wizenard Series. 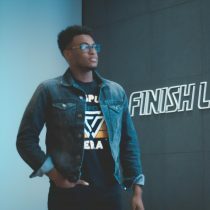 He’s also worked with and challenged a number of current NBA players to better themselves on and off the court. The likes of Giannis Antetokounmpo, DeMar DeRozan, and Isaiah Thomas have all worked under Kobe and tried to channel their inner #MambaMentality. One player has taken the #MambaMentality to another level… Kyrie Irving. Kyrie has always worshipped Kobe. Growing up, he’d spend countless hours watching YouTube clips of Kobe. Imitating and emulating the moves that he saw Kobe executing on a nightly basis. When Kyrie entered the league he made sure he cultivated a relationship with the Lakers star. A relationship that has proved fruitful for Kyrie, as he often seeks out Kobe for advice and guidance. “The best thing I learned from him [Kobe] is you don’t necessarily have to blend in. You can stand out.” Kyrie said, speaking to Tim Bontemps of the Washington Post. That piece of clarity is what inspired Kyrie to take his career into his own hands and to request a trade from the Cleveland Cavaliers in the summer of 2017. A move (to take your career into your own hands) that Kobe has always lived by. A celebration of his relationship with the Black Mamba. Nike is releasing a special edition of the Kyrie 5. Releasing on Mamba Day 2019 (the day of Kobe’s final NBA game), this special colorway comes in White and Cyber. 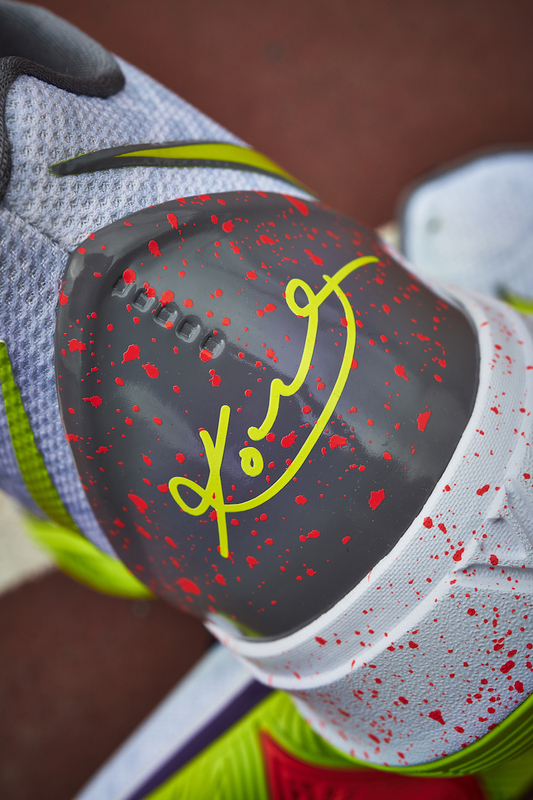 The Purple and Volt accents as well as the Red paint splatter are a nod to Joker-inspired Nike Zoom Kobe 5 ‘Chaos’ that was released back in 2009. 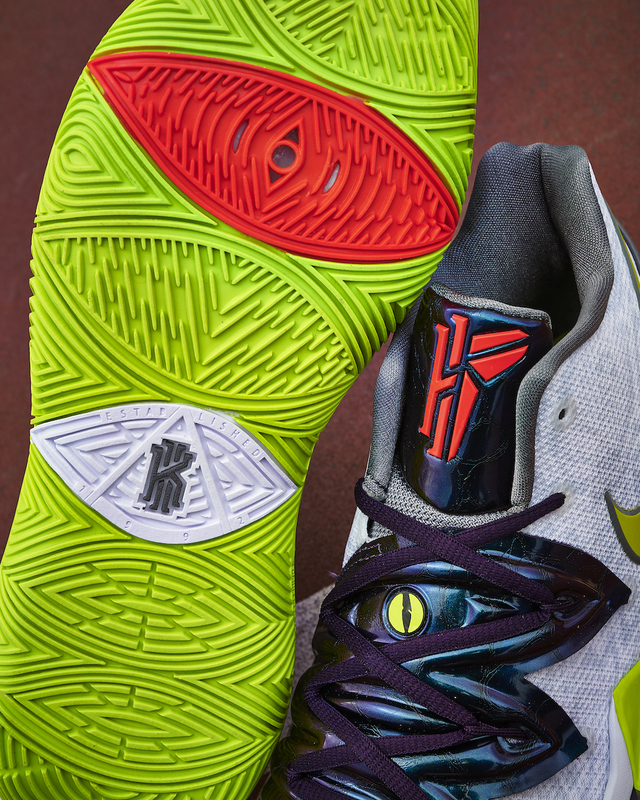 The defining detail is the hybrid Kyrie x Kobe logo that graces the tongue. 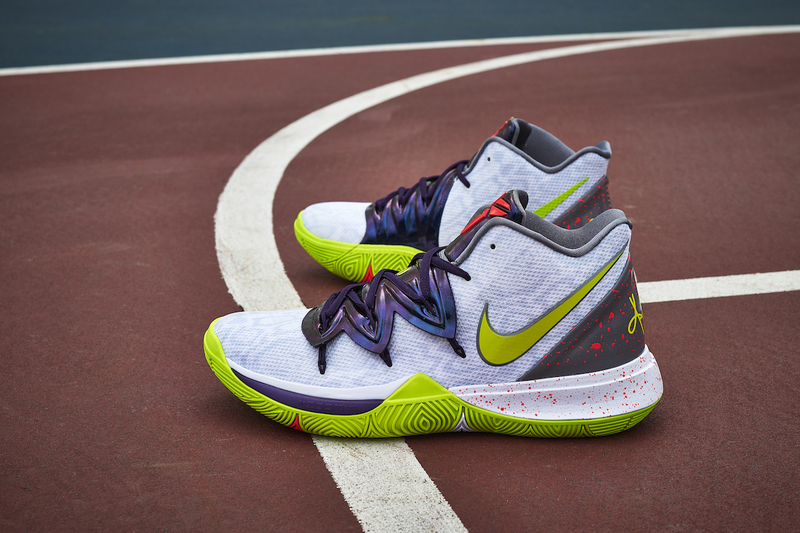 Channel your inner Mamba with the Nike Kyrie 5 ‘Mamba Mentality’ on 4/13 from Finish Line.